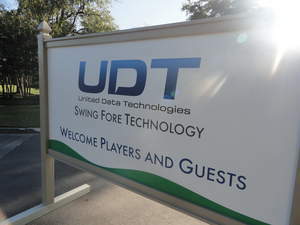 NASHVILLE, TN--(Marketwire - Oct 26, 2012) - United Data Technologies (UDT), a leading provider of IT solutions in the Southeast United States, recently held its third annual golf tournament to benefit high school seniors in the greater Nashville community. The "Swing Fore Technology" event was held at the Brentwood Country Club, south of Nashville. It was a fundraiser for the Billy Bryan Scholarship Fund, as well as an appreciation event for loyal UDT customers. 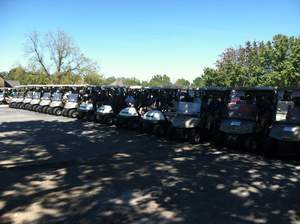 About 140 IT professionals attended to compete for bragging rights and benefit the community. "We have grown to become a leader in our industry because of the support we get from our customers, vendors, and employees," said Scott Byers, UDT's Vice President of Sales and General Manager. "The Billy Bryan Scholarship goes to a high school senior each year. It means a great deal to us at UDT to be able to contribute to this scholarship." The Billy Bryan Scholarship was established in memory of William W. "Billy" Bryan IV, a former Georgia Tech student who was fatally killed in a 1993 traffic accident. Bryan was co-salutatorian of Campbell High School in 1992 and a Dean's List Student at Georgia Tech before his death. The scholarship provides recognition and financial assistance to students whose accomplishments and plans reflect the same high standards that characterized Billy's life -- faith, family, and the pursuit of excellence. UDT opened offices in Nashville in 2009 as part of its rapid expansion throughout the Southeast. Since then, the company has held golf tournaments supporting local charities, including Nashville Flood Relief, Monroe Carell Jr. Children's Hospital at Vanderbilt and Conduit Missions, which serves Nashville's homeless population. In March, the Nashville Business Journal selected UDT as a finalist for the 2012 Best in Business Awards. A panel of judges picked the finalists based on financial data such as profitability and other metrics. United Data Technologies Inc. (UDT), named one of the 50 fastest growing IT firms in the U.S. by Everything Channel, a leading provider of high-performance technology solutions in the Southeast United States. UDT is dedicated to helping our customers maximize their investments in IT by reducing the risks, costs and complexity of deploying next generation technology (RC2). UDT partners with top tier leaders in the industry to provide the latest products, from personal computing, audiovisual infrastructure to customized solutions. At UDT, we believe that your IT experience should always help you "accomplish more." Learn more by visiting www.udtonline.com.